This Kickstarted iOS/Android/PC card game has a surfeit of talent behind it. Gary Games made a name for itself with its excellent debut product Ascension (tabletop, iOS), and Dr. Richard Garfield is best known as lead designer of Magic: The Gathering. SolForge combines aspects of both of those titles and introduces a novel twist of its own that could only work in a digital card game. I was already on board (literally; I backed the Kickstarter day one) off of that sales pitch, and spending some time with the first rough-cut playable version (free to play right now on iPad only) has done nothing to dampen my enthusiasm. The core rules of SolForge are almost offensively simple. Draw five cards representing creatures and spells, play two, do battle, then discard and redraw. First player to do 100 damage to the enemy wins. The twist is that every time you play a card, you put an evolved form of it into your to-be-reshuffled discard pile instead. Since you’re only playing 40 percent of your draws, you’re customizing how your deck improves during the course of a single match despite the card list itself being set beforehand. For example, a basic Zombie Infantry comes into play as a 6/5 (attack/health) creature. When you draw its second-level form after drawing through your whole deck and reshuffling, it’s a 10/9 bruiser. 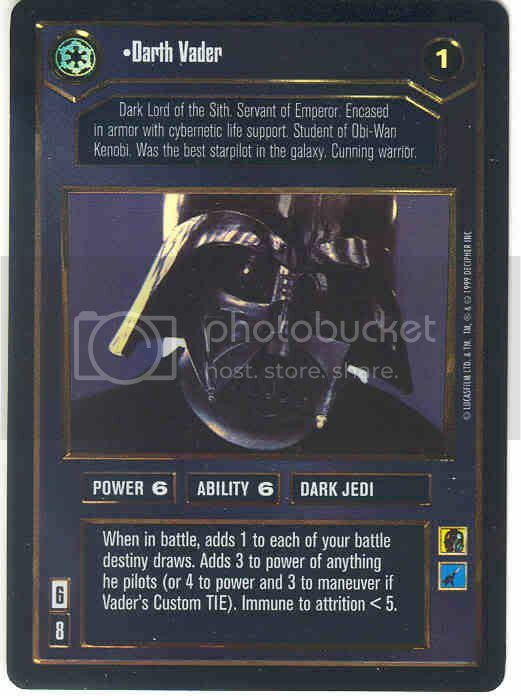 Its third and final form – all the cards in this initial playset have three tiers – weighs in at 16/14. Those attack and health stats are crucial. Every turn, each creature bashes its direct opponent (or the other player’s health total, if unopposed) for its attack strength. Health persists from round to round, so a succession of weaker creatures can eventually kill even the strongest dragon – but eat up scarce plays to do so. The vast majority of any deck will be creatures, but spells are worth having around as well. This preview set contains a handful: Cull the Weak straight-up kills a creature of its tier or lower (spells level up just like all cards do), Lightning Spark deals instant damage to a creature or player, Electro Net nerfs a creature's attack value, and Enrage grants permanent attack/health bonuses to a creature. These effects seem powerful, and they are, but the opportunity cost of not putting a creature into play is so significant that they have to clear a significant power bar to be worthwhile at all. The most interesting cards are creatures that have some additional effect or ability. Grove Huntress is a creature herself who adds permanent stats to any creature when she comes into play. Magma Hound pokes another creature for a few damage when it hits the board. Forgeplate Sentry reduces incoming damage by a chunk. Grimgaunt Devourer – my favorite card in the preview version – gets larger every time another creature dies. All of these abilities improve as the card levels up. The single point of damage reduction on a 4/4 first-tier Forgeplate Sentry is barely noticeable, but a 15/15 that blocks the first five of any attack is a behemoth. Forgeplate Sentry is an example of another theme that runs throughout SolForge: Cards have different power curves. The Sentry has a moderately climbing power level, but isn’t horrible even in its initial form. Scorchmane Dragon, on the other hand, is a 0/6 egg to begin with, a reasonable 10/10 in the middle, and a huge 20/20 that blasts everything when it lands at the end. Chrogias starts as a 1/1 larva, cocoons into an 0/15 egg, and finishes as a 25/25 untargetable regenerating monstrosity if you can survive the crappy board position playing either of the first two forms puts you in. Like Magic, Spectromancer, or just about any card-based dueling game, victory in SolForge comes primarily down to one thing: card advantage. Because you always play two cards per turn, making your opponent use two cards to kill one of yours gives you a huge advantage. The genius in the SolForge preview is that cards and strategies rarely play out in even numbers like a two-for-one. Much of the time you’re scraping for a minor advantage, like using a Magma Hound to weaken another creature before it trades one-for-one with its opponent. Smartly designed cards like Scout Drone (a very weak creature that allows another card to be played in its second and third forms) and Technosmith (a weak creature that discards another card from your hand into its upgraded form) let you trade board position for stronger lategame hands. I’m an embarrassingly huge fan of card games in this vein, from my lifelong Magic habit to the long-dead Star Wars CCG through Spectromancer (also co-designed by Garfield, and a great game that you should really check out) and tabletop games like Ascension and Dominion. I would probably play SolForge even if it were decidedly mediocre. I don’t see a lot of danger of that outcome, though, because the preview version shows a strong design focus that has a ton of room for tactical strategy (what to play when), meta strategy (what to put in your deck), and just enough randomness (what you draw when). To say I’m excited for the game would be a dramatic understatement. SolForge will eventually be a collectible card game along the lines of Magic, but this preview version only contains a handful of cards in two preset decks. Gary Games chose the demo cards wisely, though, as they hint at a wealth of interactions and possible strategies despite the ultra-simple ruleset. As long as the business model isn’t nakedly exploitative (Star Wars CCG and your madly overpowered rares, I’m looking at you), I have an easy time seeing myself signing up for the long haul. SolForge is slated to release in early 2013 on iOS and PC and later in the year on Android.